Any Advertising Should Be Held To The Same Standards! 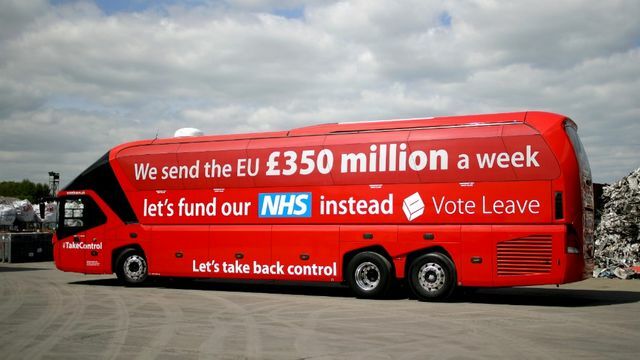 As I saw that big, red bus trundling up and down the UK, I certainly wondered what proof had been given to add weight to its claim that £350 million would be saved each week in the event of Brexit. Now it all makes sense, that political advertising is not held to the same rigour of rules that 'regular' advertising is! Not so much surprising and shocking in my opinion; surely how a country is being run and the statistics used to back up election promises should be subject to exactly the same scrutiny as just how shiny a washing-up liquid will make my plates? If not more so - otherwise surely it's downright propaganda? However, when it comes to political advertising you might be surprised to find out that the opposite is the case. No one is monitoring and regulating the claims and promises made in advertisements from those who wish to, or already, govern Britain.